Get up to 8 auto insurance quotes using our hub of insurance companies! Yes, it's that easy. We have teamed with leading insurance providers to make choosing an insurance policy a walk in the park! If you need to learn more on how to get and compare car insurance quotes online feel free to browse through our learning center. We have a range of articles and guide to help you when shopping for auto insurance. Using our quote comparison system, you are sure to find cheap car insurance and not to miss some great savings with the best insurance companies in the country. Is it time to compare quotes from other insurers? We are building a comprehensive knowledge data to help educate out customers on car insurance. Shopping for car insurance coverage may seem like shopping for other product. However, this couldn't be far from the truth. There are too many things driver should know before opting for coverage which introduces a lot of jargon that deters most customers from getting into the details and letting and car insurance agent deal with the matter. Although this may seem the easier option, one could end up with surprises at the moment where they really should have know what was in the policy when they signed in the dotted line. This is where we come in. 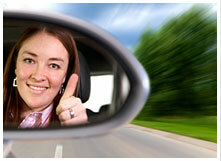 We aim to make shopping for auto insurance quotes online as easy as possible. We have a range of useful information to help choose the car coverage you need at the price you can afford. We have also teamed up with the best insurance companies in the country to help choose from up to 8 quotes in one single page! If you happen to drive an antique or classic car, you can compare quotes from a range of classic car insurance companies using a single form and decide on the best coverage for your vehicle. Not Sure what Policy is Best for you? Browse through our information center to find what you need before purchasing auto insurance or additional options for your choice. If there is anything we could do to help, please use the contact us button from the menu to get in touch with an insurance specialist in our team.There is no obligation to buy and you may also obtain an anonymous auto insurance quotes online without providing personal information. If you have purchase a new car and looking for GAP insurance, find out if it's worth it. You don't have to part with all your personal information to get a simple car insurance estimate. Learn how to save time when calculating your auto insurance coverage without filling out long forms. Alabama - AL, Alaska - AK, Arizona - AZ, Arkansas - AR, California - CA, Colorado - CO, Connecticut - CT, Delaware - DE, District of Columbia - DC, Florida - FL, Georgia - GA, Hawaii - HI, Idaho - ID, Illinois - IL, Indiana - IN, Iowa - IA, Kansas - KS, Kentucky - KY, Louisiana - LA, Maine - ME, Maryland - MD, Massachusetts - MA, Michigan - MI, Minnesota - MN, Mississippi - MS, Missouri - MO, Montana - MT, Nebraska - NE, Nevada - NV, New Hampshire - NH, New Jersey - NJ, New Mexico - NM, New York - NY, North Carolina - NC, North Dakota - ND, Ohio - OH, Oklahoma - OK, Oregon - OR, Pennsylvania - PA, Rhode Island - RI, South Carolina - SC, South Dakota - SD, Tennessee - TN, Texas - TX, Utah - UT, Vermont - VT, Virginia - VA, Washington - WA, West Virginia - WV, Wisconsin - WI, Wyoming - WY .